brand new Diamond Rewards customer loyalty program for August 26- September 8 is now available . 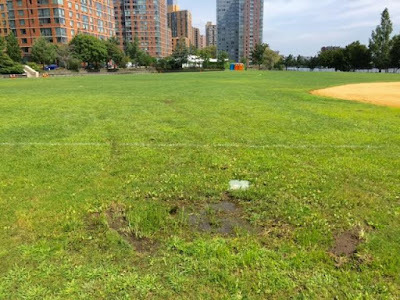 What's with all the standing water on Firefighters Field? 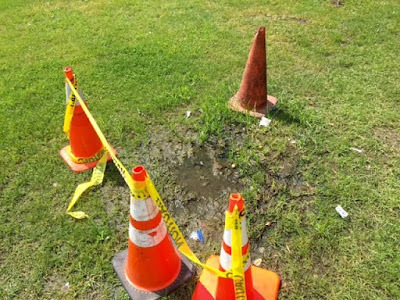 There's been standing water for weeks. 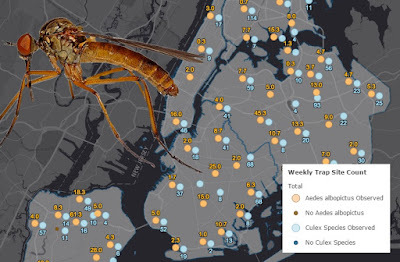 It's a breeding ground for mosquitoes. We've noticed way more bugs this summer in our building, mosquitoes and others. I think the sprinkler system is broken. Received message today from a resident concerned about standing water puddles at Firefighters Field that have been there for several weeks. Worried that they could attract mosquitos and Zika virus. Also, is there any spraying to prevent mosquitoes on Roosevelt Island? According to NYC Health Department, it does not look like Roosevelt Island gets any spraying. Image From 6 Sq. 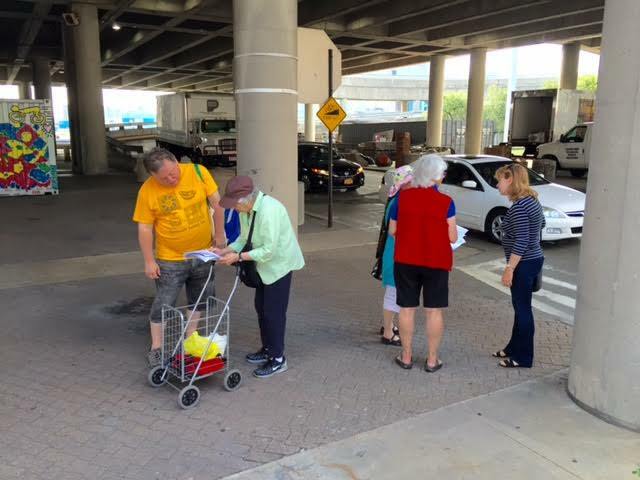 Ft.
and more from NYC Health Department on mosquito spraying. Will update when response received from RIOC. We have adjusted the timer for the sprinkler system from 20 minutes to 5 minutes per zone to ensure the fields are not saturated. We also put soil and reseeded the areas that were ponding to alleviate that potential puddles of water. Please let me know if you have any additional questions as we will be monitoring the area closely. Awaiting response regarding mosquito spraying. The MTA has issued a weekend service advisory for the F train, which may affect travel plans. The Tram will run on a rush hour schedule from 7:00 AM until 10:00 PM to accommodate any increase in traffic. 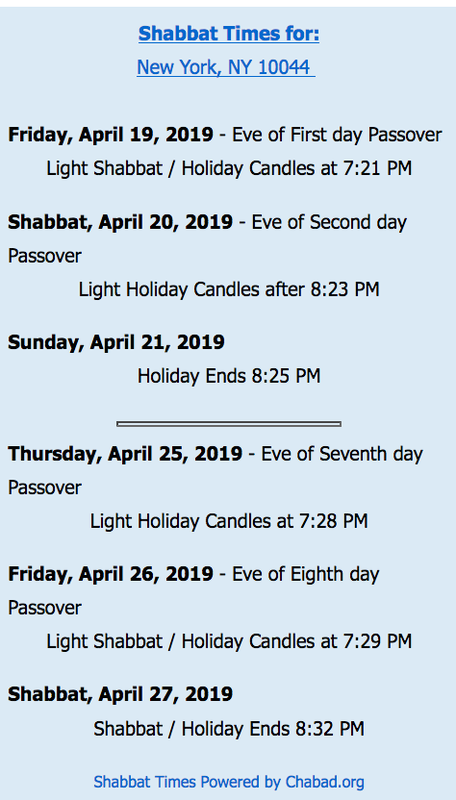 Please plan your travel accordingly and visit mta.info/weekender or call 511 for more information. 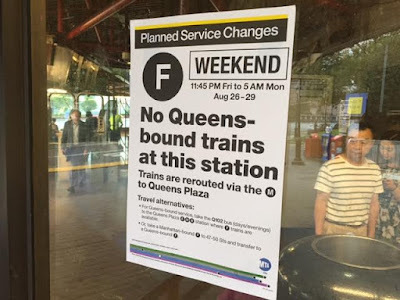 Expect very crowded Trams this weekend. 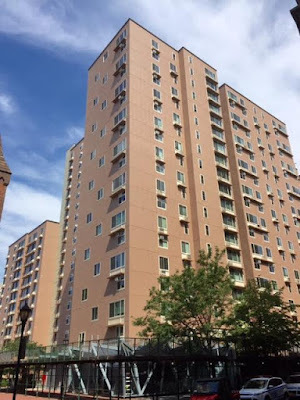 Habitat Magazine reports on the window replacements and other improvements currently in progress at Roosevelt Island's Island House Co-Op. 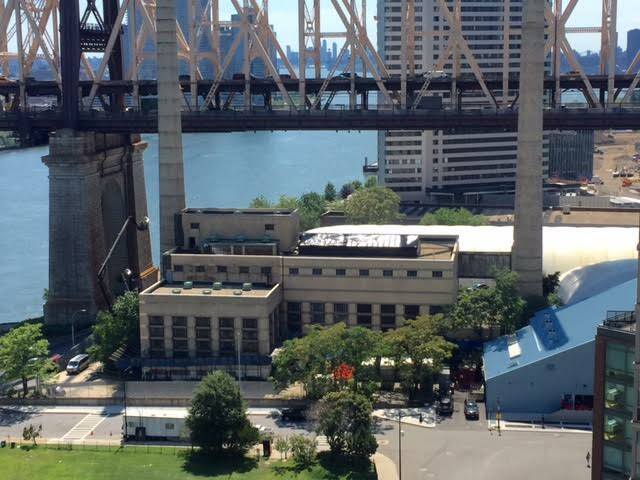 “Everybody loves getting new windows,” says Steve Greenbaum, the director of management at Mark Greenberg Real Estate, discussing the mammoth window-replacement job that is only one of many projects under way at the Island House on Roosevelt Island. This 400-unit, three-building co-op is also currently replacing terrace doors and terrace railings, and applying waterproofing to the facade. 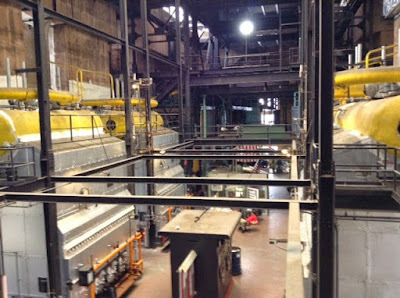 After that’s done, the co-op will put in new circuit-breaker panels, then redo the lobbies and hallways. Most of the money for these projects comes from a capital fund that was set up during co-op conversion talks with the sponsor. Greenbaum declines to give cost figures. a studio for $445 thousand. More here and here on the exit of Roosevelt Island's Island House building from a Mitchell Lama rental building to a private co-op. NY State Senator Jose Serrano honored Roosevelt Island residents Laila Amatullah and Patricia Stovell who recently passed away. I knew Laila. She was a very kind lady. I did not know Patricia Stovell. Condolences to their family and friends. Senator Serrano attended a memorial service for Laila Amatullah and Patricia Stovell at the Roosevelt Island Seniors Association on Roosevelt Island. These two remarkable women touched the lives of many Roosevelt Islanders , which was evident by the large crowd that gathered to pay their respects and remember these great women. Senator Serrano spoke to the crowd and presented Laila Amatullah and Patricia Stovell's family and friends with official New York State Senate proclamations honoring their dedication to the community. Patricia Stovall and Laila Amatullah co-founded the Roosevelt Island Women’s Health Organization (RIWHO) to encourage and inspire others to take a proactive role in their healthcare.They offered quality lectures on health treatments, as well as tools to encourage better communication between patients and doctors. was placed in the Southtown Commercial garbage lot yesterday. We have a film shoot at the Steam Plant. 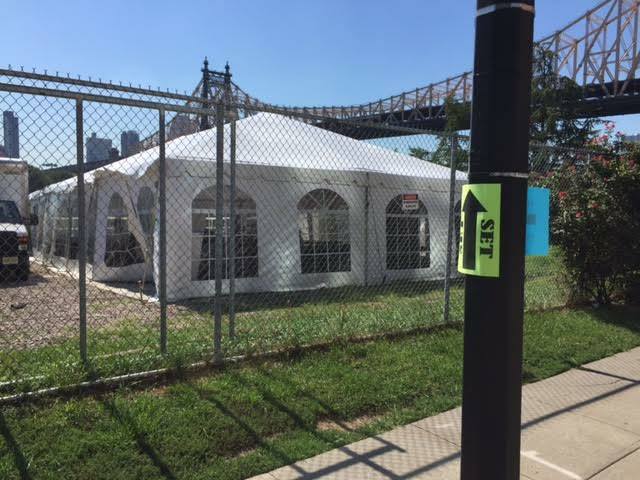 This tent is permitted through Thursday morning for catering/holding. We usually use Sportspark for this kind of stuff, but that's currently not an option. 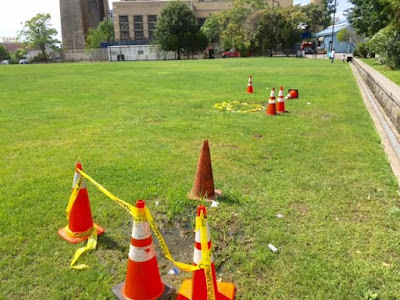 The Sportspark is currently closed for renovations and scheduled to open before Thanksgiving. today is for the Fox TV Show Gotham. 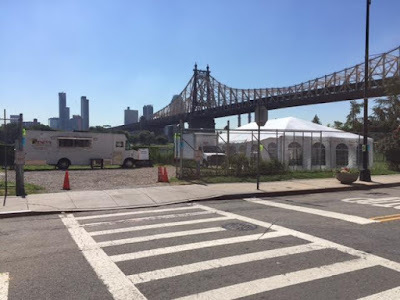 Information on Roosevelt Island film shoot location fees available at the RIOC web site. The American-Italian Cancer Foundation is bringing the Mobile Care Clinic to Roosevelt Island! On Saturday, September 3rd from 9 AM – 4:30 PM at the 591 Main St. Plaza the scan van will be offering free digital mammograms and clinical breast exams to eligible registrants. Registrants must be at least 40 years of age, a current NYC resident, and have had no mammogram for the past 12 months. Preregistration is required, so make sure to sign up before all the spots are taken. Uninsured patients are welcome. No co-pays required and deductibles are waived. 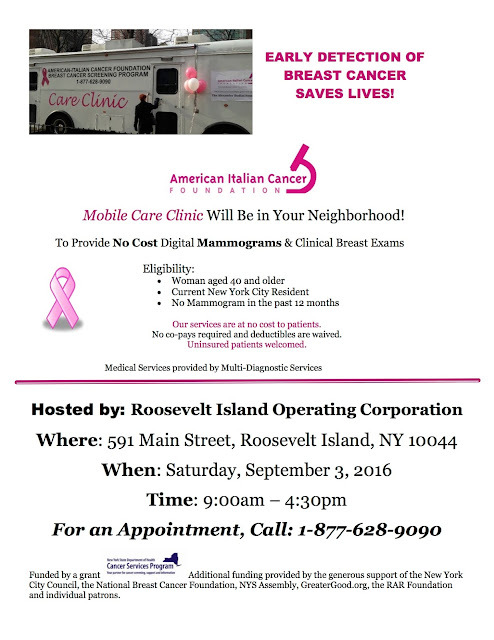 More information on the American-Italian Cancer Foundation Mobile Care Clinic available at their web site. 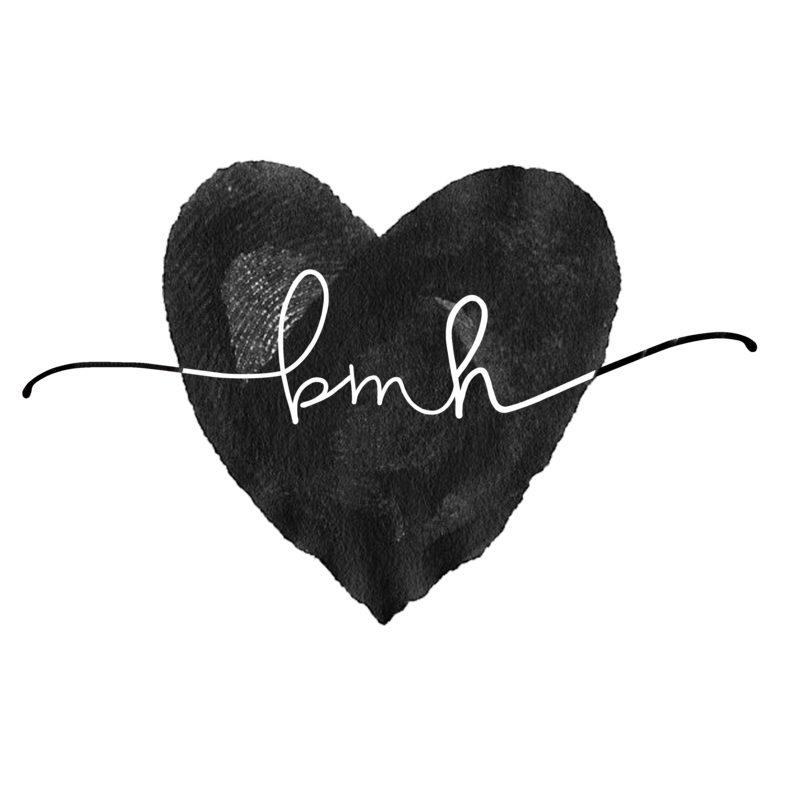 Click full screen icon for better view. @scottie_douglas don't think there's equivalency. Owners obeying regulations can keep dogs off the fields. How do you keep geese off field? 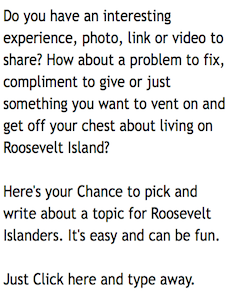 @Rooseveltisland that's my point. People fuss over dogs/ignore geese & squirrels who create uncontrollable messes. 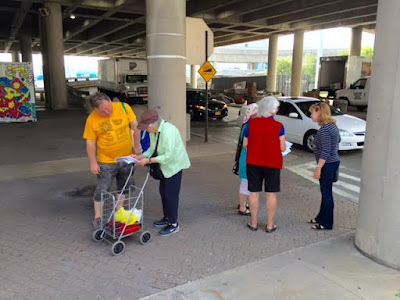 Gristedes Supermarkets Stops Accepting NY State WIC Checks Saying Over 700 WIC Checks Bounce Monthly - Roosevelt Island Residents Protest And Gather Petition Signatures To Request Return Of WIC Program For Low Income Mothers And Children. announced they will no longer participate in the NY State Special Supplemental Nutrition Program for Women, Infants and Children (WIC). 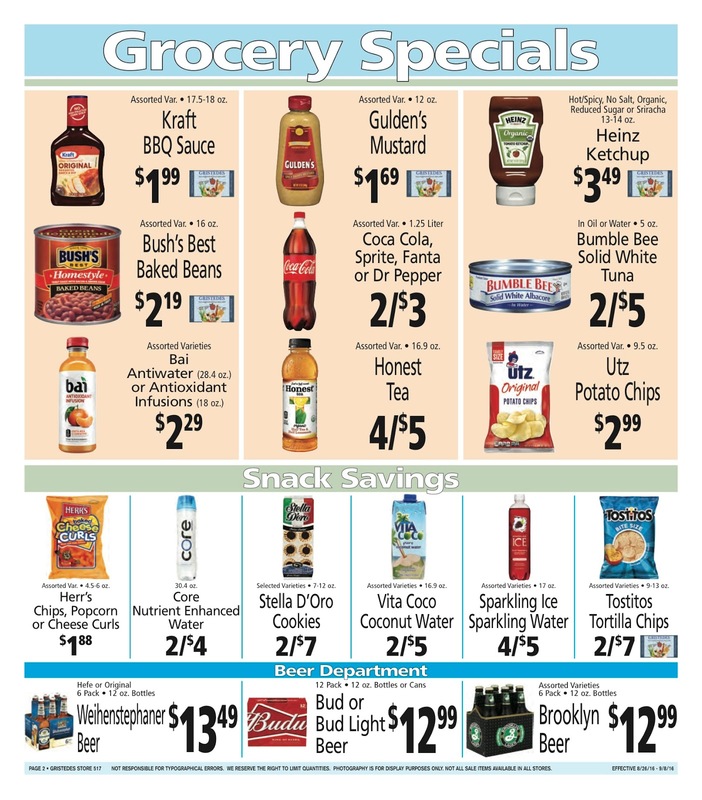 The Roosevelt Island Gristedes posted this flyer in their store informing residents about the change in policy to stop accepting WIC Checks. ... a variety of nutritious foods to low-income pregnant, breastfeeding or postpartum women, infants and children up to age five to promote and support good health. 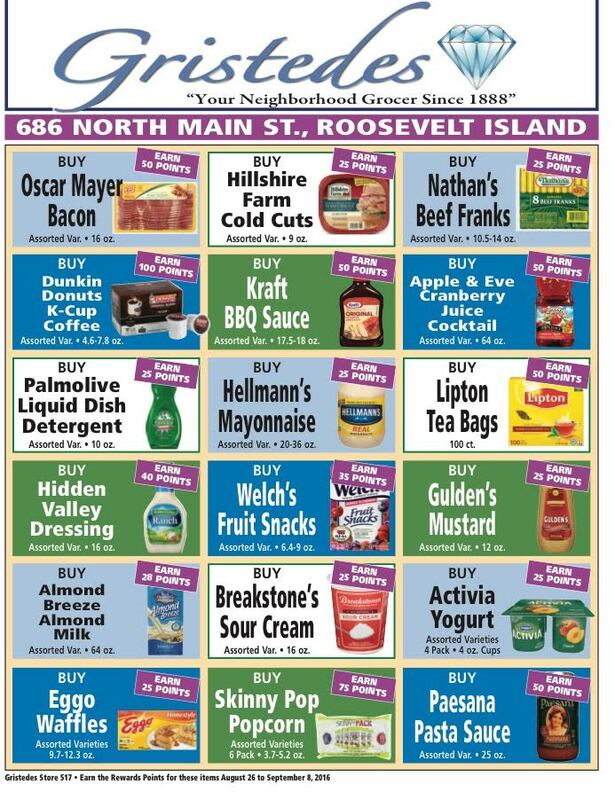 If Gristedes is no longer honoring WIC coupons, then the matter should be brought to the attention of the elected officials pronto - considering the hundreds of low-income families who reside on RI. Also, if it is true, then it's simply unconscionable, cruel, of Gristedes to stop accepting the coupons. - Ensuring that participants have access to safe and nutritious foods. - Ensuring that participants receive exactly what is prescribed on the WIC checks. - Respecting WIC participants and offering a positive shopping experience. - Offering competitive prices to help the WIC Program contain costs and reach the greatest number of eligible women, infants and children." WHY IS THIS SO APPALLING? Because these basic foods are the low profit items, Gristede's is making their profits selling high-profit fancier foods. 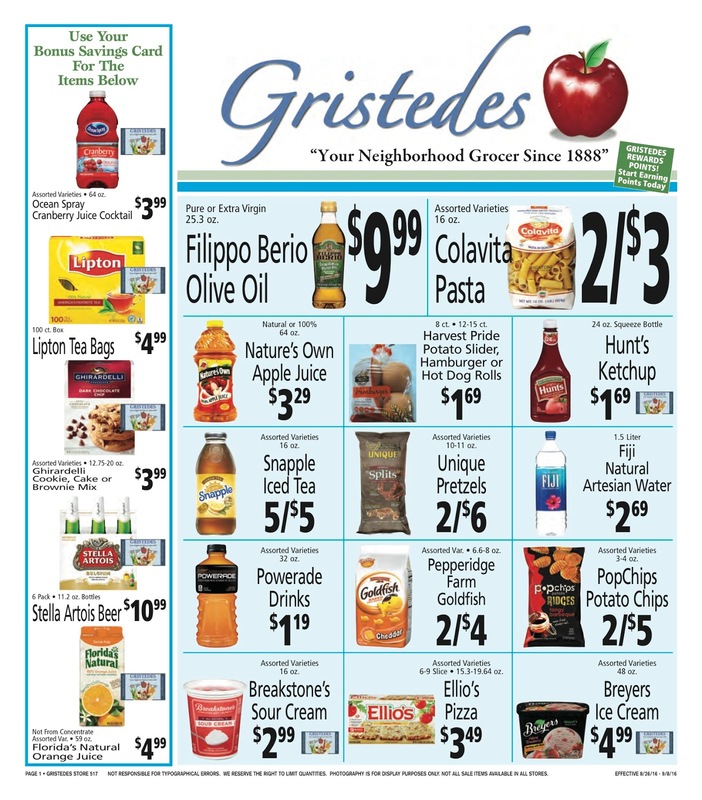 But now, according to their flier, Gristede's wants to make Manhattan-size profits on the very very few customers who are most needy (women, infants, and children). Note: This necessary benefit is relatively short-term as WIC only permits a limited time-frame for eligibility (mothers up to 1 year old of child, children up to 5 years old). FOR ROOSEVELT ISLAND: There really aren't any other places to shop. Gristede's should be investigated: they need to explain the financials on why they cannot continue in the WIC program. 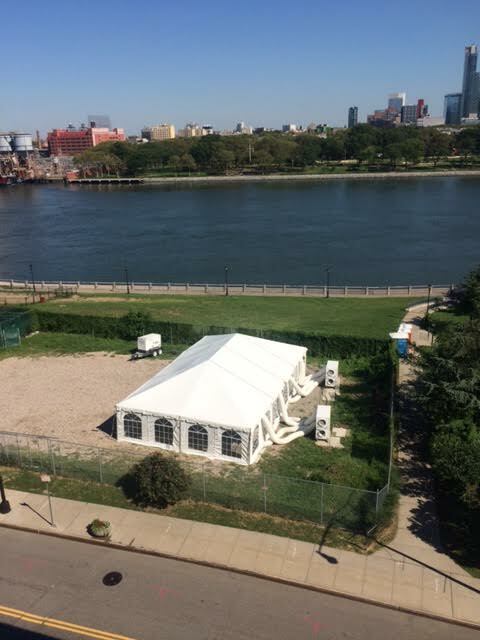 Given the program requirements, there are probably relatively few WIC clients on Roosevelt Island. I'm guessing we're talking about a total profitability difference that is a tiny number. And RIOC and Hudson-Related should see if Gristede's has violated their terms of the lease. 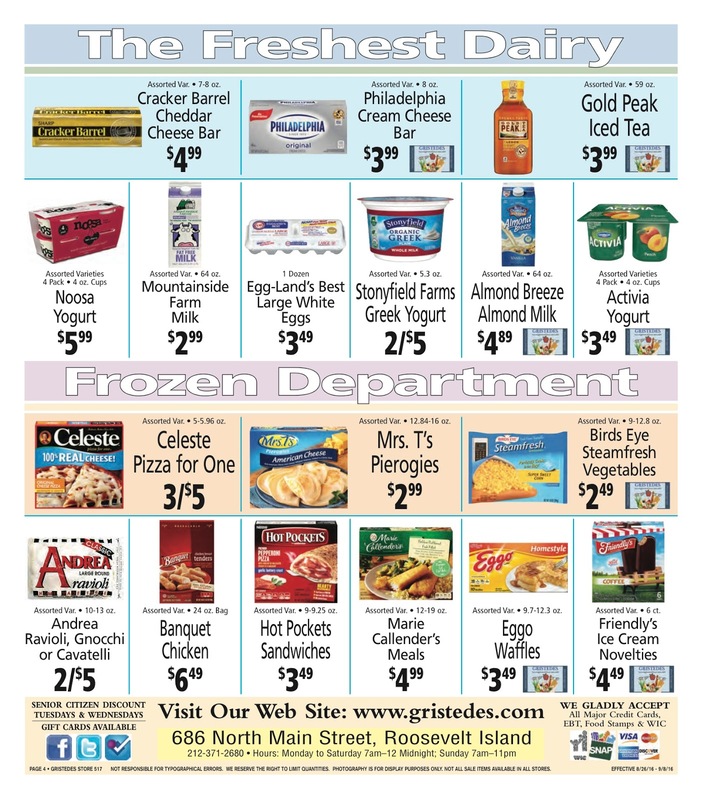 The Roosevelt Island Gristedes announced that the store will no longer accept NY State WIC Checks. I have received several messages and comments on the blog objecting to this change in policy. 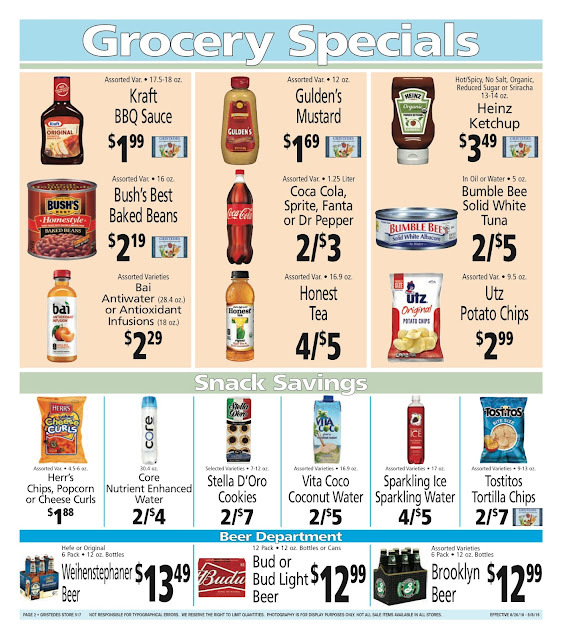 Do you have any comment on why Gristedes will not accept WIC checks? Earlier this month, Gristede’s announced it would no longer accept WIC checks following decades of participation in the program. The State has gone to a system of “blind WIC checks”. The WIC check shows the items eligible to be purchased - but no longer has “an amount not to exceed”. The merchant is responsible for filling in the retail amount of the purchase, and then accepts and deposits the check in payment of the goods. In the past, if the price of the product listed by the Retailer exceeded what the Program was willing to pay, the Program would simply pay the Retailer the price it deemed appropriate – often representing a 30%+ discount to the Retailer’s normal retail price. For decades we accepted that in full payment. The Program now instructs its bank to return the check if the amount listed exceeds what they are willing to pay. 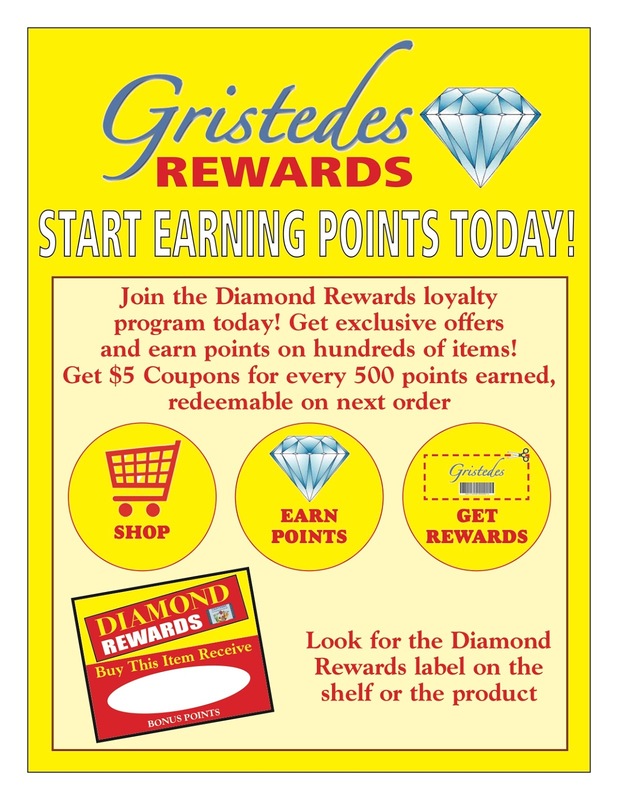 While the Program ultimately does pay the Retailer for the product at the price they deem appropriate, the revised procedure, in the case of Gristede’s, resulted in over 700 returned deposit checks every month – resulting in significant return deposit check bank fees and a strained relationship with the branch that handles the company’s accounts. Why are your prices higher than the state wants to pay? 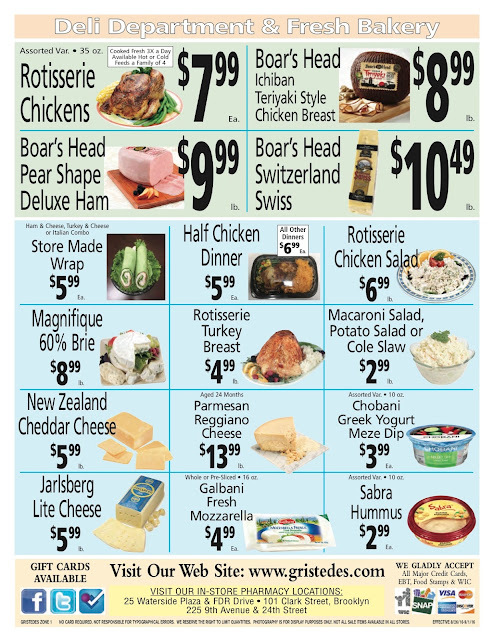 We are running full service union stores in some of the most expensive retail space in the United States. Included in the ‘Urban Chain Store’ reimbursement group that the state WIC administrator is using to determine appropriate reimbursement are operators in places like Rochester and Buffalo NY. Those are fine places to live and shop but operating costs for things like rent and utilities in those areas (just like residential rents and utilities) are nothing like they are in our city. No. Gristede’s continues to accept EBT, SNAP, and FOOD Stamps. “We understand the need to provide these programs and are pleased to serve all members of the community” stated Mr. Catsimatidis. 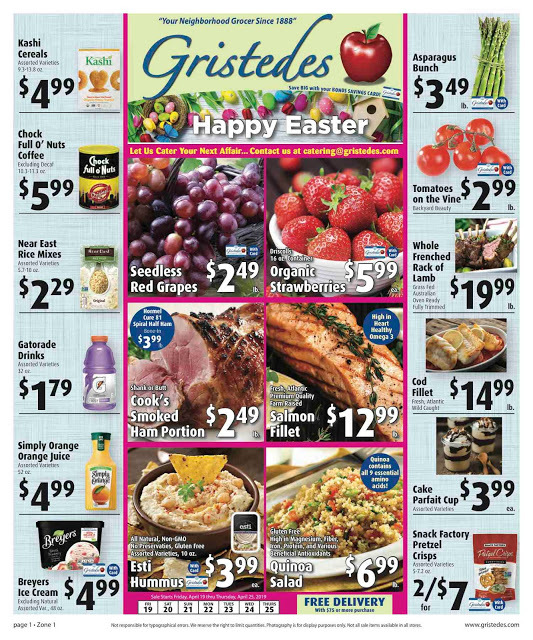 What did Gristede’s do to try and remain in the program? We worked for months at the local and the state level to try and find a solution to our problems with the administrators of the NY WIC program. The onerous rules and procedures coupled with the very low reimbursement rates made it unwise to stay in the program. Are you the only chain that is not in the program? 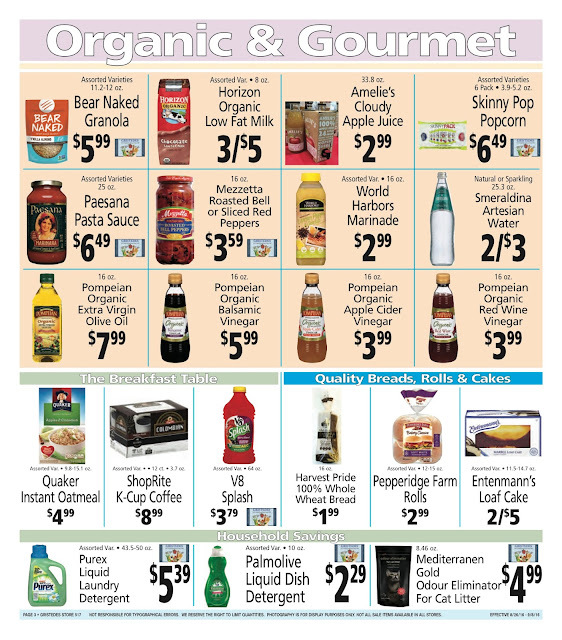 We believe nonunion operators Whole Foods and Trader Joe’s are not in the program and suspect other grocery chains and stores have opted out as well. Will Gristede’s take WIC in the future? 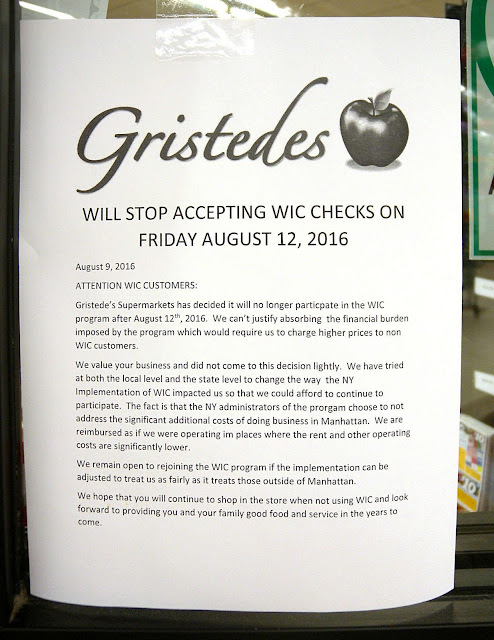 Gristede’s would like to take WIC checks again in the future and hopes the state can adjust it’s program so as to not make so unfair for operator in the New York City area. 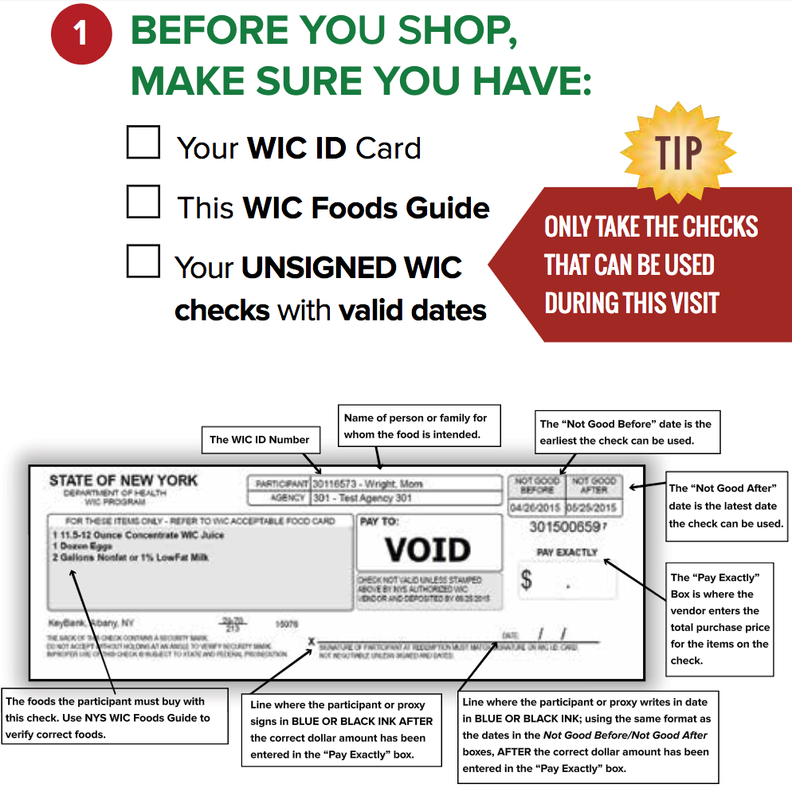 WIC is a supplemental support program run by the USDA and administered in NY by the NY State department of health. The goal is to ensure that certain at risk members of the community get proper nutrition. The Gristedes spokesperson added that the Roosevelt Island Gristedes store took 3-5 WIC checks a week. of the program to Roosevelt Island. I asked Mr. Farance about the reasons for the protest. ... I ran into Israel Wengerd who runs the Amish market, and he might have some interest in taking WIC (I'm getting him info to help him understand more about the program). Regardless of whether the Amish market can make it work or not, it is truly wonderful to hear Israel's Excellent Neighborly Attitude. For some of the people they were really upset with Gristedes (Yet Another Reason To Dislike Gristedes), for other people they really felt WIC was important, and some people held both points of view. Many people were already aware of Gristede's withdrawal from the WIC program thanks to the RI Blog and Roosevelt Island Daily (there hasn't be a WIRE issue or bulletin since the issue started). And I will have more news to report soon (mostly good ideas/options). 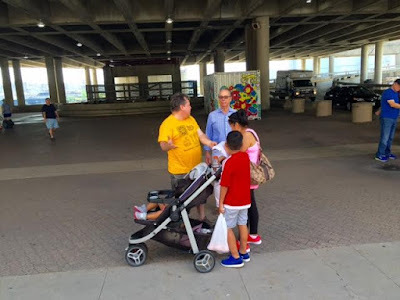 Here's the Bad News: Our engagement with residents also means that we hear what they are thinking, and I will be blunt (some of this is disgusting thinking). - "I Don't Have Children": This was a reason given for not wanting to support this. 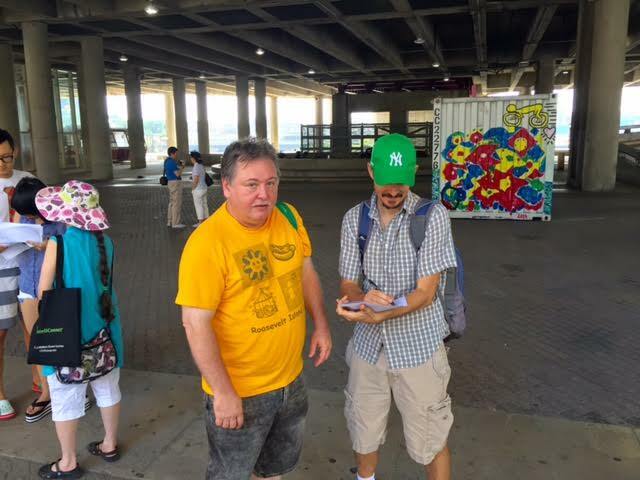 After the event I ran into neighbor Jim Bates, who has worked on several food efforts/drives. Jim told me, as head of the Roosevelt Island Disabled Association: this is what I get when I ask for help, people say "But I'm Not Disabled". - "I Might Lose My Benefits If I Complain": They fear reprisal ... there must be some credibility to this concern because, certainly, these people know the importance of WIC. It is worth understanding the basis for this fear. 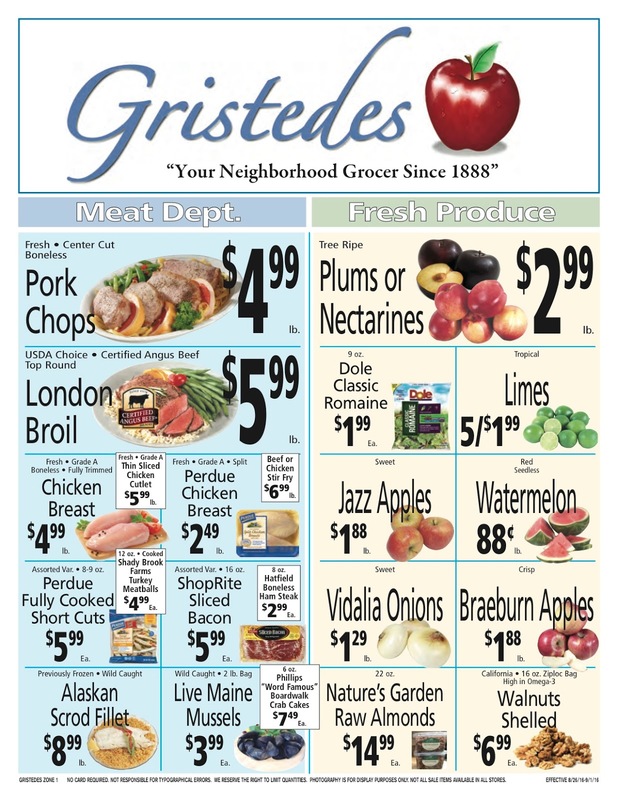 - "I Don't Want To Boycott Gristedes": This is interesting because it reveals how many people are really dependent upon Gristede's and have few other practical options. - "Only 27 Participants, It *Should* Be Smaller": Not it "is" smaller, but it "ought to be" smaller, i.e., we need less low income people on Roosevelt Island. Truly disappointing, I am disgusted reporting this kind of thinking. 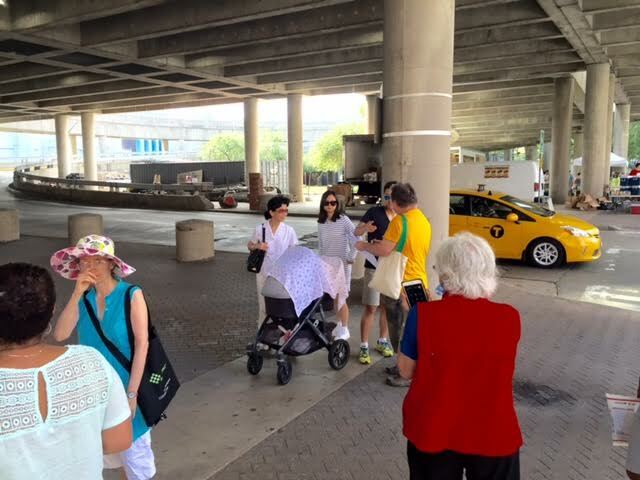 The Roosevelt Island Daily has more on Saturday's protest. 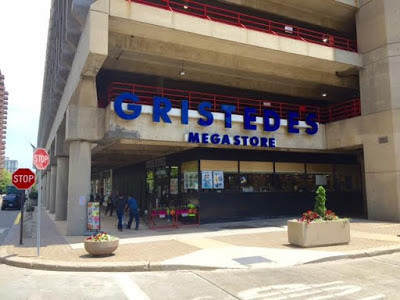 Gristedes Supermarket located at 686 Main Street, New York, NY 10044 is the only store that accepts the Special Supplemental Nutrition Program for Women, Infants and Children (WIC) on Roosevelt Island. 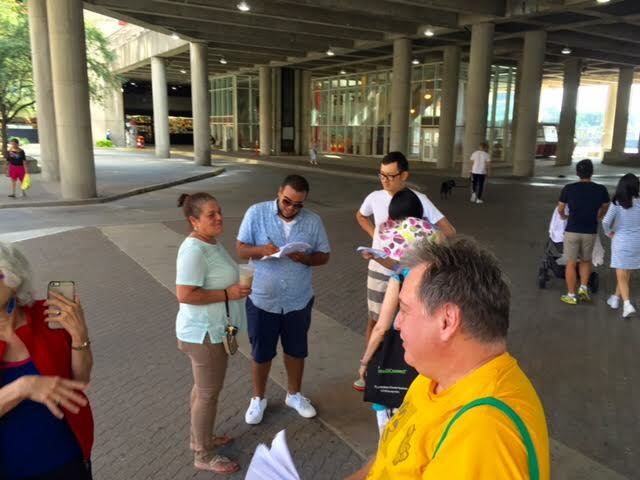 Since Gristedes decided to opt-out of the program, my constituents on Roosevelt Island are left with no alternative to redeem checks for nutritious foods that help keep pregnant and breastfeeding women and children healthy, without having to leave the Island. I ask that you consider Roosevelt Island separately from Manhattan and Queens when grouping vendors, and specifically, to give it your special consideration due to its geographic location. 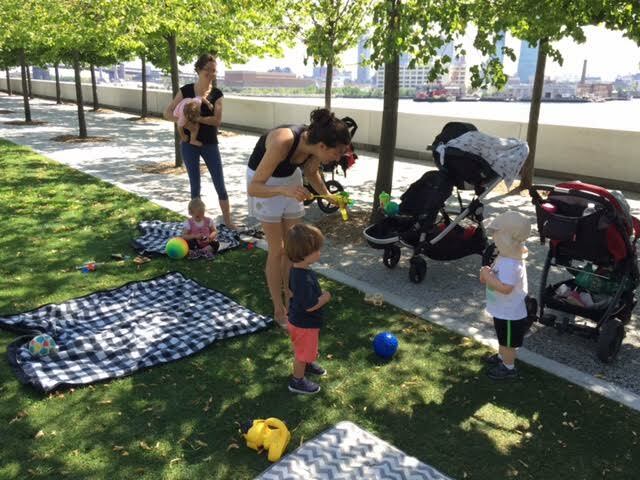 With Gristedes leaving the WIC program, the closest location to Roosevelt Island where participants can redeem their WIC checks is Long Island City. Although approximate distance from 10044 zip code is only within two miles, it represents a significant burden for my constituents to have to leave the island to meet their basic needs. Therefore, I request that you provide incentives to keep a WIC authorized store on Roosevelt Island. I appreciate all that you do to provide healthy nutrition options for woman and children in our state and I hope that we can work together to maintain the nutrition programs that my constituents rely on every day. Thank you for your consideration. I am looking forward to hearing from you. 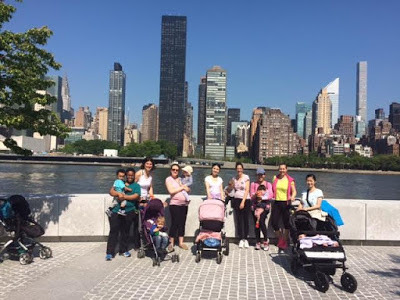 Let's hope Gristedes, our elected officials, NY State Department of Health and Roosevelt Island residents can work together to bring the WIC program back to our community. UPDATE 8/23 - NY Post has more. The RI Parents' Networks' next free RI Moms on the Move (RI MoM) walk, exercise, chat and play will take place Monday August 22, 2016 at 9:30am at the Tram kiosk. 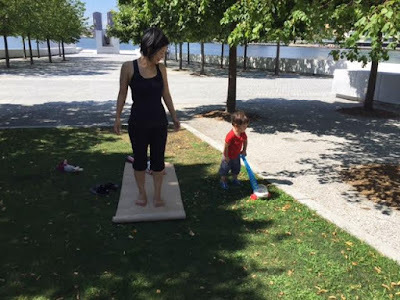 Please join us for some exercise, chat and play outside.